The latest styles to hit the streets are “HOLY”, you know the kind with holes that show just enough skin that makes you yell #Hallelujah. From prints to lace to sheer…the newest trend that’s changing the game in fashion is holes, grommet and dots creating an incredible illusion. Tattered boyfriends jeans lined with holes are becoming the most needed piece of clothing to perfect that effortless street style. Diane Von Furstenberg is creating adorable dresses with grommeted detail and the polka dot illusions with a stain finishes. Other designers such as Mulger, Alexander Wang, and Proenza Schouler are also digging the new trend, and it’s only a matter of time until the “Holy” effect takes the fashion scene by storm. My favorite right now is Self-Portrait. Goggle them and you will find out why! Is it safe to wear white? The answer is an overwhelming YES! Winter white is all the rage this holiday season, and we are here to tell you how to break all the rules with this timeless look. First things first; don’t be afraid of those elusive white jeans! Whether you opt for the skinny leg, the boot cut, or the trendy trouser fit, you really can’t go wrong with the white jean this season. To give it a classy, anytime-wear update, we suggest layering this look with a cozy and fashionable cable-knit vest. This fabric is as timeless as the little black dress, and will keep you warm and Oxford chic all season long. Want to bump it up a notch? Go for the sleek and flattering fit of the shearling fur vest, with a soft lining and bold collar. Brave the elements all winter and add some flare to this ensemble with some stylish lug-sole savvy boots, always a great choice for jazzing up those wicked cool winter-whites. Be daring with the stiletto heel in your favorite shade of tanned leather to offset the dramatic hue and you will be sure to receive compliments at your next outing. Give the people something to talk about, and let them know where you scored this fashionable look: Couture Closets, for all your style needs, A to Z. 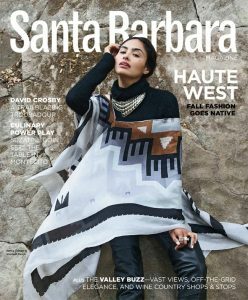 Check out my current Fall issue of Santa Barbara Magazine, “Haute West” and take a peek into the best of Cali living and translate it into your own Sparkle City style. 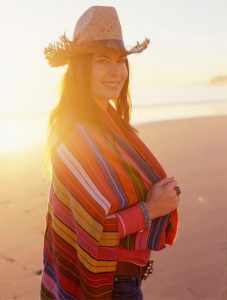 Gina Tolleson is Editor of Santa Barbara Magazine, native of Spartanburg, SC and my best friend! 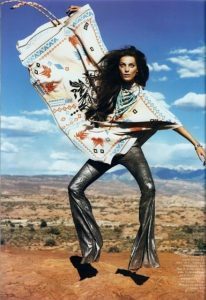 Thank you Gina for being Style A to Z guest blogger today! 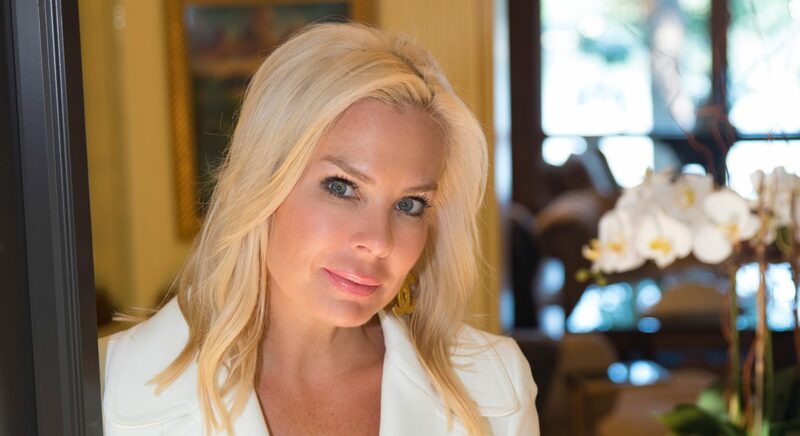 Amy R Zimmer, owner of Couture Closets.